If you haven’t already seen the news, there’s a bit of a fabulous ladies takeover of the Barossa Wine Auction this year on 26 April. And we couldn’t be more excited! 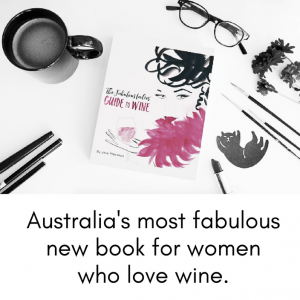 The event, which is held every two years and is one of the highlights on the Australian wine calendar, has taken a strong women in wine approach for the first time in its lengthy history. 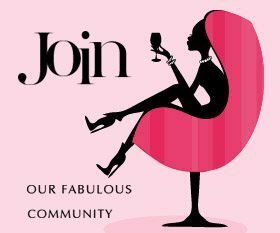 They’ve invited me to be their Master Mistress of Ceremonies for the day, and I’ll be joined by AWIWA Australian Woman of Inspiration 2017 winner and all-round fabulous lady Tamara Grischy from Langton’s (who are the auction partners) as well as the highest number of Barossa based women in wine that have ever participated! Ahead of the release of the full catalogue, Barossa Wine let me have a sticky beak at what’s on offer this year and asked me to choose my top five from the rare and distinguished auction lots available. Pewsey Vale Vineyards 6 pack vintage vertical of The Contours plus tour of vineyard with Louisa Rose and lunch Why? Riesling is hands down the best white variety ever (don’t even think you can start arguing with me about this) and we should all be drinking more of it. No other white conveys its sense of place – and shows off its postcode with pride – quite like Eden Valley Riesling. It’s the Barossa’s shining white light amongst the wash of red. With Pewsey Vale being one of the best producers around. There would be no better way to test that for yourself than with a vertical tasting like this. And THEN as though the wine isn’t enough, there’s Louisa Rose! She is wine royalty, and spending time in the vineyard with her would be a true delight. Turkey Flat Vineyards Premium Vertical Collection | The Ancestor Shiraz – 2012, 2015 | Turkey Flat Shiraz – 2012, 2014, 2016 | Turkey Flat Grenache 2015, 2016, 2017 Why? There’s a gilt around Turkey Flat at the moment, and everything about them is shining bright. This is a brilliant selection of their very finest, including their industry shaking Jimmy Watson winning Grenache! While Turkey Flat has always been a good investment, right now they’re hotter than hot. And did I mention Christie Schulz is one of my favourite and most inspiring fabulous ladies of Australian wine? Nuff said. Penfolds Yattarna 2008 Why? First, Yattarna is the chardonnay that could launch a thousand ships. A wine of unrivalled beauty and finesse, it’s inspired poets and artists alike – well…maybe just my late night scribbles then. I personally look forward to each new release of Yattarna and try to treat myself to a bottle or two. Getting my hands on an older vintage would be a treat, as they never hang around long enough at my place! While Penfolds reds get all the glory, the Yattarna is absolutely their equal in quality and style. Also, buying aged whites of renown is notoriously tricky. But this one has had its cellaring done right and its provenance assured so you can put your hand in the air and bid with total confidence. Schild Estate Tour, Taste and Graze Why? The really great thing about this auction, is that it’s not ALL about accessing dusty old bottles of wine. There’s some pretty amazing experiences up for grabs too. And it’s the families of the Barossa – their hard work and dedication – that have made the region the success that it is, so what could be more fabulous than to spend a day in the company and the vineyards of one of my favourite local families? The Schild family will host you and 3 friends for an experience of a lifetime as you sip and swirl their wines, hear their stories and fall in love with their little piece of earth overlooking the southern Barossa. Divine. The full catalogue will be released in early February. I hope you can join me for what is going to be an incredible and fabulous day. If you only buy one wine this year, make it THIS ONE!